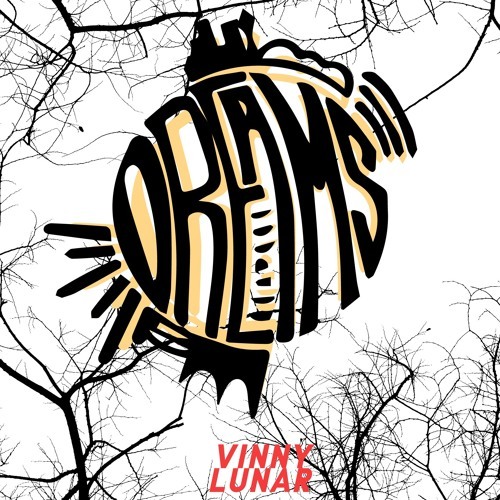 Home / brand new / brand new artist / música / Vinny Lunar / Vinny Lunar Unveils New Single "Dreams"
Vinny Lunar Unveils New Single "Dreams"
Indian-Australian R&B singer and rapper Vinny Lunar has just released his brand new single Dreams, a beautiful piece of R&B that will get you singing along to it in no time. There's a cool 90s R&B touch to this song that really caught my attention and it's a breath of fresh air that he's singing about real life struggles and not an ode to cars, gold chains and women. A down-to-earth song on which Vinny showcases his smooth, soulful vocals over a highly addictive beat and infectious chorus. In Dreams, co-produced by Moussa Zain, Vinny talks about his past and the people he met over a nostalgic atmosphere packed with late 80s electronica and Bollywood samples. Stream this gem below! I have met so many charming people on my travels who I leave a piece of my heart with. I had to write a song about the nostalgia I feel when I think about them. Vinny expresses himself in a unique way. His music reflects a combination of 90s R&B, today’s dynamic Trap and lyrics that combine romance and honesty. His deepest thoughts and observations form the centre of the tracks but are never over-intellectualised. He prefers to let the music speak for itself without letting the words influence the feel of his music too much.